Bosnia and Herzegovina was severely tested in the 20th century and is still finding its way back to prosperity and internal stability. Too often the country has been a pawn in the hands of the powerful: wars, truces and peace treaties as far back as one can remember. Wars conceived in distant council chambers, peace treaties brokered far from its ancient cities, green mountains and blue rivers. The destiny of Bosnia-Herzegovina has been decided without the consent of its citizens, who have been unable to speak with one voice. As we have seen so often, the religious and cultural diversity of the country has been both a blessing and a curse. The 20th century began and finished in Sarajevo: First with the assassination of the Austro-Hungarian archduke Franz Ferdinand in 1914, and again with the brutal siege from 1992 to 1996. What is often called the most complicated governmental system in the world is the result of a compromise brokered by US negotiator Richard Holbrooke at the US military base in Dayton, Ohio. Three camps with three visions of the country’s future needed to be satisfied: Bosniaks by preserving a single country; Serbs by giving the Republika Srpska substantial autonomy; and Croats, by transferring power to the cantons. Today, Bosnia and Herzegovina is still deeply divided: Many offices are assigned variously to Bosniaks, Serbs or Croats. The state presidency, the highest office in the country, alone is reserved for the three together. The segregation is most painful in the schools, where children are divided under the pretense of different languages – Bosnian, Croatian and Serbian – designated as separate in the Constitution. However, no one has any problems communicating; it’s the same linguistic system with minimal differences. The attendant of questions of people, nation, and state-building are the subject of his 2015 book, Whose Bosnia? Nationalism and Political Imagination in the Balkans 1840–1914. 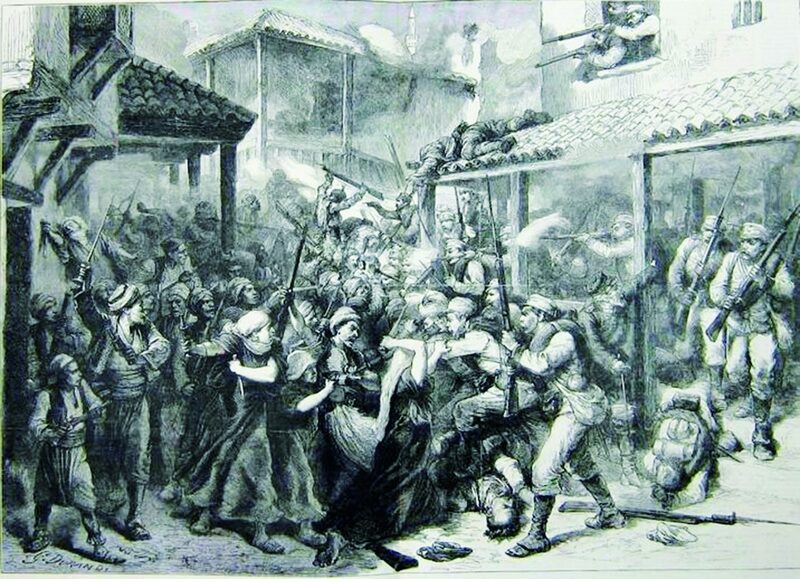 Persistent through a century of change, writes Hajdarpašić, Bosnia and Herzegovina’s ethnic and religious diversity is, in fact, the historical norm, interrupted by episodes of brutality and war. The assassination of Archduke Franz Ferdinand, the heir of the Habsburg throne, on June 28, 1914, set events in motion that would lead to the outbreak of World War I and the dissolution of the Empire. By then, Austria-Hungary had controlled the country for 40 years, since troops had entered Sarajevo in 1878 (above). But this controversial political order also contains some liberal elements, says Adnan Ćerimagić, an analyst at the European Stability Initiative (ESI). The Bosnian Law on Civil Servants as an example: “The civil service generally reflects the ethnic structure of the population of Bosnia and Herzegovina, in accordance with the last census,” he says, even though public employees are not required to declare their ethnicity when they apply for a job. The ethnic representation actually comes down simply to self-identification. The same goes for political candidates, who file with the Central Election Commission. This self-identification cannot be challenged, and no outsider or public document determines which ethnic group an individual belongs to. Religion doesn’t matter either, nor what’s on a birth certificate – a freedom not provided in some multiethnic or multilingual regions like South Tyrol, Brussels or Cyprus: “At each census, citizens of South Tyrol have to state their affiliation to one of the three language groups. Those who do not belong to any still have to choose one of the three.” A copy of this registration is kept at court and consulted whenever an individual applies for an administrative post. The roots of these divisions go deep, evolving out of the religious communities in the second half of the 19th century, when the Austro-Hungarian government in Bosnia and Herzegovina (1878 to 1918) tried to guarantee a proportional religious/ethnic representation, but also used the ethnic and national divisions as a political tool. Benjámin Kállay, the Austro-Hungarian minister of finance and the administrator of Bosnia and Herzegovina from 1882 to 1903, tried to promote national “Bosnianness,” which was heavily opposed by the local Serb and Croat elites who interpreted this political agenda as Austria-Hungary’s intention to thwart the South Slav hopes for unification. 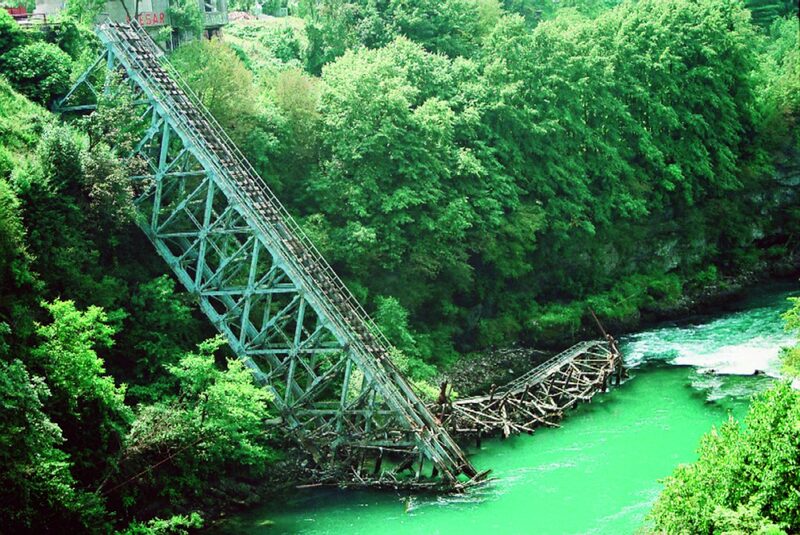 The bridge over the Neretva was twice destroyed in World War II. Tito’s partisans were the only European resistance movement that drove the Nazis out by themselves. Thus, Bosnia and Herzegovina in the 19th century never became a nation under its own name. When Tito’s partisans re-established Bosnia and Herzegovina as part of Socialist Yugoslavia, they emphasized its character as the republic of Serbs, Croats and Muslims. These three ethnic groups became “constitutional peoples” in the Dayton Constitution of 1995. If there are Germans in Germany and Italians in Italy, why not Bosnians in Bosnia and Herzegovina? Today, being a Bosnian is not a category in the constitution of Bosnia and Herzegovina; people declare themselves Bosniaks, Croats, or Serbs. Is the lack of a shared Bosnian national identity a problem? Hajdarpašić doesn’t think so: “Instead of lamenting […] a lack of common national identity, I think that we can appreciate how Bosnia’s history often helped keep open spaces for differences; in the 20th century, nationalist projects tried to eliminate precisely such spaces by imposing ethnic homogeneity.” For him, the key question is not the lack of a Bosnian identity – it exists de facto, if not de jure – but whether it can become a political issue sometime in the future. The breakup of Yugoslavia in the 1990s turned thousands into refugees in their own land, like these Bosnians in 1993 in Travnik. And what about everybody else? Besides the three “constituent peoples,” there are 17 acknowledged ethnic minorities in Bosnia and Herzegovina, defined in the Constitution as “Others.” Some of them, like Jews, have a long history in the region: Sephardic Jews came to Sarajevo in the mid-16th century, the Ashkenazi Jews during Austro-Hungarian rule. In fact, prior to the Shoa, every fifth citizen of Sarajevo was Jewish, and the city has played a major role in the history of Sephardic Jews. Today, Jews and other minorities are politically marginalized, especially after Bosnia and Herzegovina failed to implement the Sejdić-Finci decision of the European Court of Human Rights from 2009. Bosnian Roma Dervo Sejdić and a Jewish fellow citizen, Jakob Finci, sued Bosnia and Herzegovina for being denied the right to run for the state presidency, a right constitutionally reserved for the three constituent peoples. “Jews and other minorities don’t seem to be interested in taking sides in the conflict about the vision of Bosnia and Herzegovina,” says Eliezer Papo, a Sarajevo-born literature scholar at the Ben-Gurion Universi of the Negev in Jerusalem. The lack of a joint view among Bosniaks, Croats, and Serbs on the past and the future of the country, he says, prevents Jews and other minorities from playing a cohesive role in this ethnically divided society. Papo is, however, satisfied that Jewish heritage in Bosnia and Herzegovina is being preserved. The famous Sarajevo Haggadah, for example, a 14th century illuminated manuscript originating in Barcelona and considered to be one of the world’s oldest and most valuable Sephardic documents, is a tourist attraction in Sarajevo, a city still proud of a century of multicultural life between Muslims, Orthodox and Roman Catholic Christians, as well as Jews. Ladino, the historical language of Sephardic Jews, will soon be taught at the local university. Still, the future of the Jewish community in Sarajevo and Bosnia is hard to predict, says Papo, especially because history shows the agility of small Jewish communities. In Sarajevo before WWII, it was Jewish women – the five Levi sisters – who pioneered female emancipation. Today, the position of women may be more complicated than ever, says Masha Durkalić, a Sarajevo-based journalist and activist. With her colleagues Amila Hrustić-Batovanja and Hatidža Gušić, Durkalić is a co-author of ŽeneBiH (Women in Bosnia and Herzegovina), the portraits of 50 Bosnian women who set milestones in emancipation. Despite divisions, the position of women is the same: No matter if they are Bosniaks, Croats or Serbs, the women all suffer the same discrimination – although it is especially hard for marginalized groups. Bosnia and Herzegovina is still a strongly patriarchal society, Durkalić admits, where gender-based violence still prevails. Not many women will talk about it or report it to the police. “Due to the very hard social situation – high unemployment, many living below the poverty line or who want to leave the country – women seem to be doubly discriminated against,” Durkalić points out. 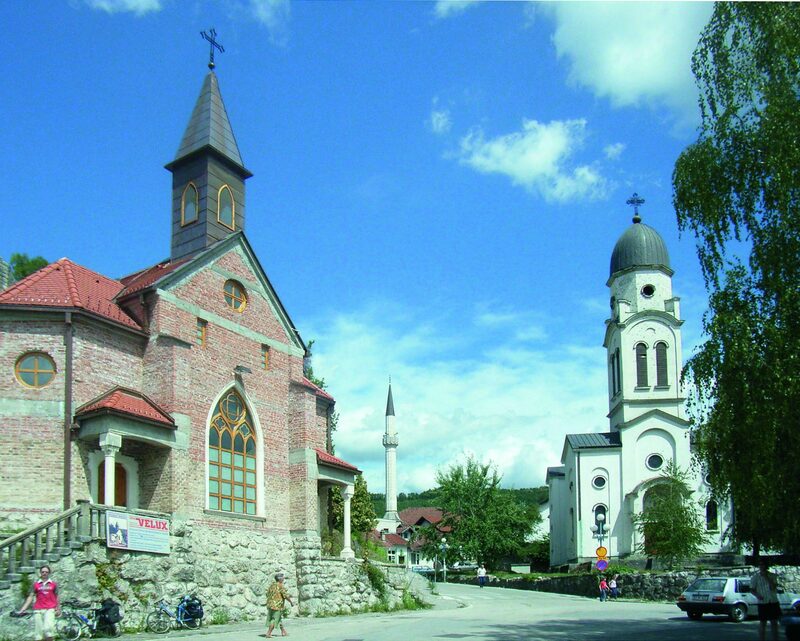 Despite scars of war, Bosnia and Herzegovina remained a country where a mosque, a Catholic church and an Orthodox church stand near each other in places like Bosanska Krupa. Constituent peoples, minorities, women, the unemployed or disadvantaged: The list of people who are struggling in today’s Bosnia and Herzegovina is rather long. More than 20 years after the war, this is still a country searching for internal cohesion and stability. When this can be achieved will depend primarily on the Bosnians themselves and on their political elites. For now, they still don’t seem to be ready to work seriously on a better future for their country. Despite the complex ethnic relations, the huge administration apparatus, and the lack of perspectives for young people, Bosnia and Herzegovina is also a post-conflict success story. Since the end of the war in 1995, there has been no major violence in the country. Bosnian cities are not less safe than other European cities. Although the budgets for culture are often low, the country has developed a vivid festival scene, especially concerning film: the Sarajevo Film Festival has been established as the largest and the most prestigious film festival in Southeastern Europe. 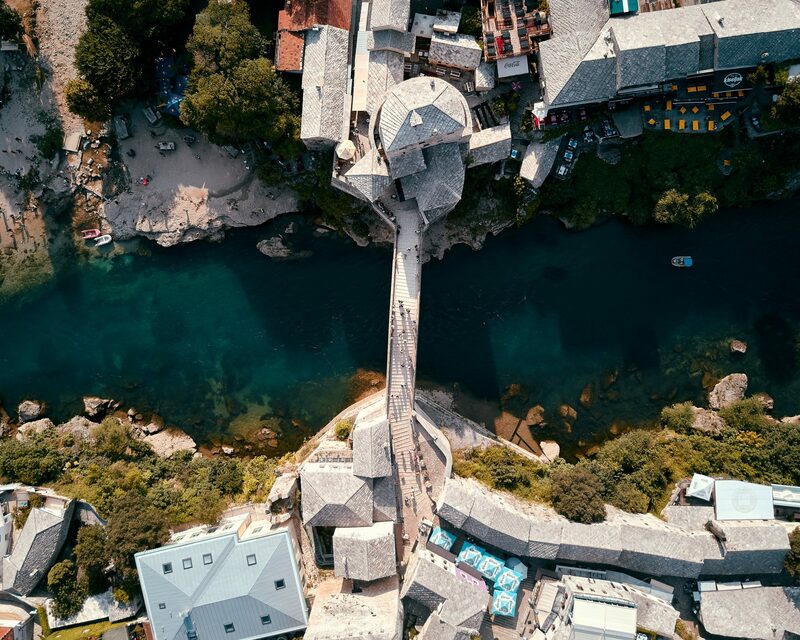 The beauty of the countryside and the towns as well as the way of life in Bosnia and Herzegovina are drawing in ever more tourists. The country has experienced a tourism boom in the last couple of years. The hospitable spirit of Bosnians, good food, exquisite coffee culture, rich history and breathtaking landscape make Bosnia and Herzegovina one of the most attractive hidden gems of Europe. With their sophisticated sense of humor and a sweet-tempered naivety, Bosnians sometimes even surprise themselves with their positive attitude to life, certainly when compared to other South Slavic nations. These traits have often been an obstacle on their way to becoming a self-conscious nation, but they have also helped them to get through the worst horrors of the 20th century while sustaining a strong will to survive. Or in Dževad Karahasan’s words, in spite of the political storms engulfing it from time and never quite letting it go, Bosnia’s culture is indeed alive and well.